We’ve combined the art, science, and time-tested methods of roasting and packaging coffee to provide you with the finest possible product. 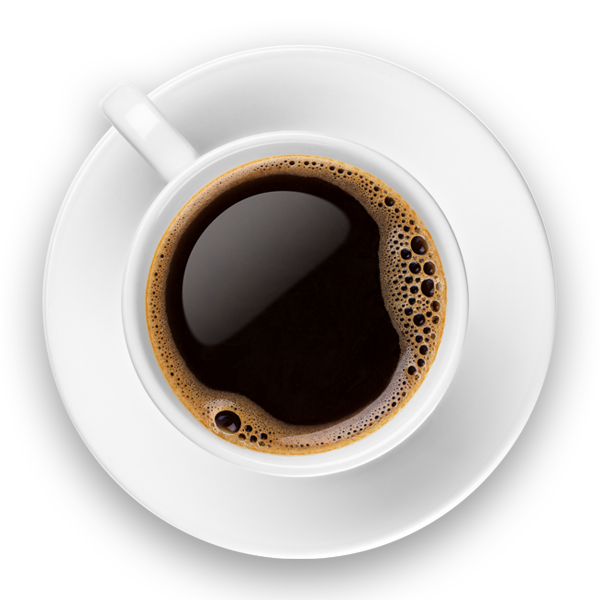 Browse our wide variety coffees, teas, confections, accessories, and gifts. 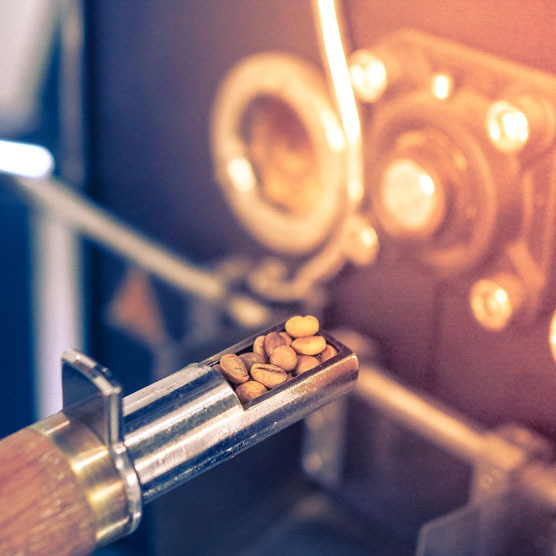 Coffee roasting is part art and part science, with highly experienced cuppers determining what coffees meet their criteria and at which roast level (blend or single origin). Coffee begins the roasting process at the Paul deLima factory by filtering through a cleaner and de-stoner, ensuring that only green coffee beans enter the system. All the components are loaded into a hopper, which transports the beans into the roaster. Once the roaster becomes available or ready, the green beans are dumped in and begin tumbling around at high heat (between 365° F and 475°F depending on desired roast color). 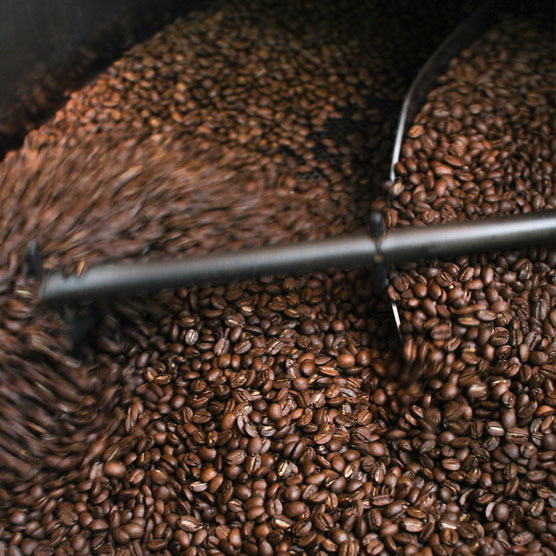 During the roasting process the coffee is undergoing an endothermic process of absorbing heat. As the temperature of the bean reaches ~365° F the sound of the “1st Crack” (an audible popping sound) can be heard. This sound is an exothermic expansion in which the coffee bean lightens and expands in size, similar to popcorn. When roasting darker coffee, a second crack can be heard, which sounds more like a ‘snap’. Cracks are a temperature threshold, and the second crack represents the structure of the coffee peaking. Coffee roasted for too long will collapse structurally like anything that is heated too hot for too long. Coffee has stored heat and these exothermic reactions called cracks need to be carefully monitored so that the coffee is roasted to the correct level. This is where quenching and cooling come into play. As coffee reaches the desired heat level, a water vapor is inserted into the roaster to halt the roasting process at the precise moment when the temperature is exact. The beans are then dropped into a cooling chamber where a sweep arm turns the coffee over so it can be cooled to packaging or grinding temperature. 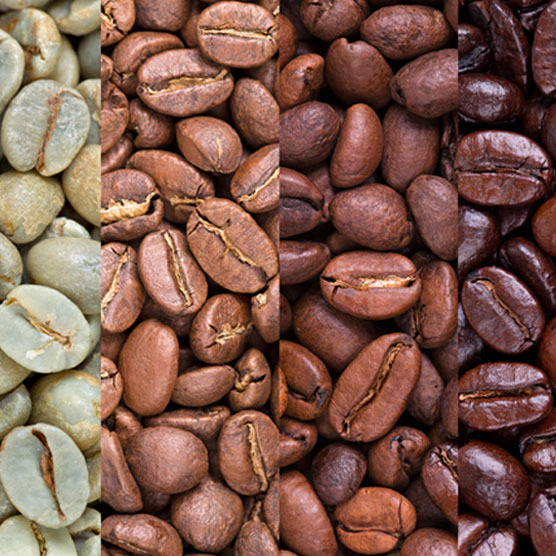 Once the coffee is roasted and cooled, it is moved to a post roast scale, which reveals the weight that the green coffee lost during conversion to roasted coffee. Our system is closed, which means that once green coffee enters the system it is controlled using elevator and conveyer systems to carry roasted coffee to its desired packaging line or bulk handling units. Grinding coffee for industry takes massive grinders that have to be calibrated and monitored constantly to ensure the grind is proper. There is no naturally occurring French Vanilla Coffee. Heart broken yet? We add the flavoring to the coffee in a specialized mixing chamber using specially formulated natural and artificial flavorings. Both ground and whole bean coffee are mixed with the desired flavoring. However, specialized coffees are developed for flavored coffee because base coffee profiles can conflict with flavoring. 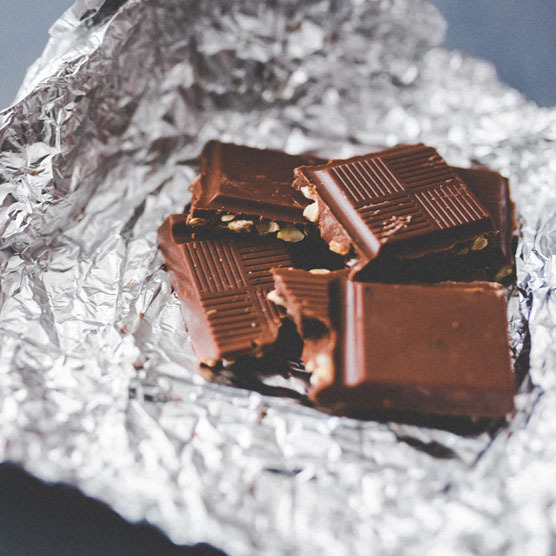 Chocolates often require a darker coffee while fruity coffees like blueberry and cherry pair with a lighter base.